UPDATE: The roundabout has been completed and is now open to traffic. The third and final phase of roundabout construction along Harford Road in Kingsville/Glen Arm will soon begin. 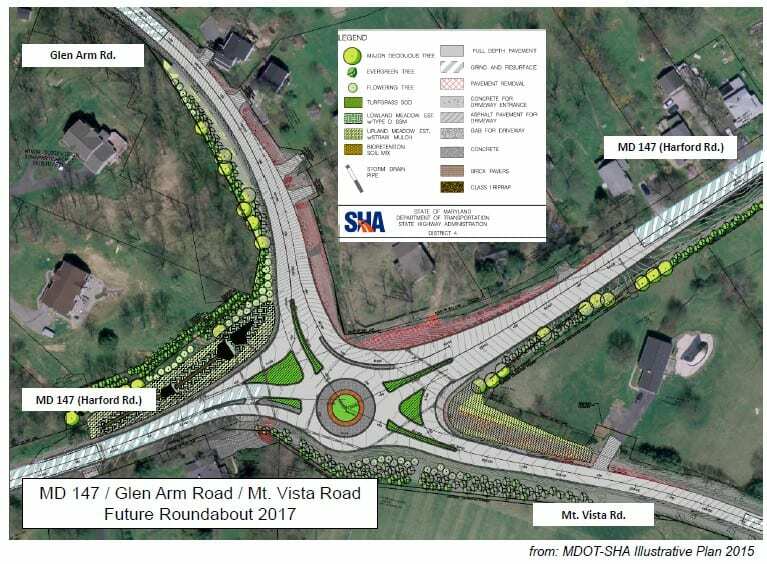 Construction on the new roundabout – located at the intersection of Harford Road, Mt. Vista Road, and Glen Arm Road – began in October of last year. The first phase involved the closure of Mt. Vista Road at Harford Road. The second phase saw Mt. Vista Road reopen as Glen Arm Road was then closed at Harford Road. 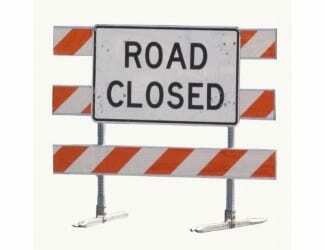 The State Highway Administration says that Glen Arm Road will be reopening soon, however, Mt. Vista Road will once again need to be closed. Mt. Vista Road at Harford Road will be closed at approximately 9:00 a.m. on November 8 and remain closed for about 30 days. Kinsley Construction and the SHA will be working diligently to finish the needed work on the Harford Road “islands” at that time. The new roundabout should be complete by late fall.